Making the choice between WordPress and Wix is not easy. Both have their advantages and disadvantages. Both have their purpose. Both can build an elegant website. When you’re building your website you want to be certain that you’ve chosen the right platform to build with. The last thing you want to do is be surprised that the platform you chose won’t do what you need it to. You have enough to worry about than to waste any effort in rebuilding your site because you chose the wrong platform. In this article, we will do a side by side, unbiased comparison of WordPress and Wix and give you the information you need to decide which is right for you. At their core, both are website builders. You can create and run nice websites that live up to today’s design standards in many topics and industries. Both have excellent abilities for SEO and security. Both are great for building pages and blog posts. But let’s take a moment to look at each in more detail. WordPress is the most popular content management system (CMS) on the planet. It is built with PHP and uses MySQL for its databases. It can use HTML and CSS. This gives it a lot of advantages. 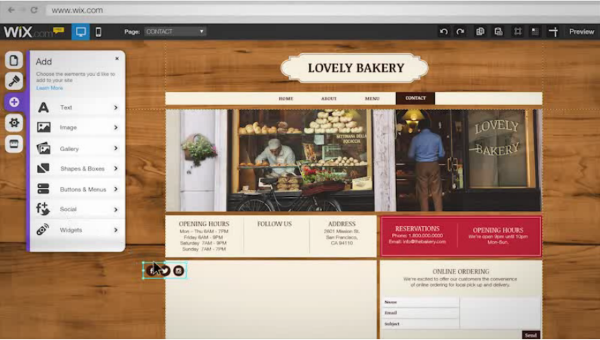 Wix is a free online website builder that lets you build HTML5 sites by drag and drop tools. 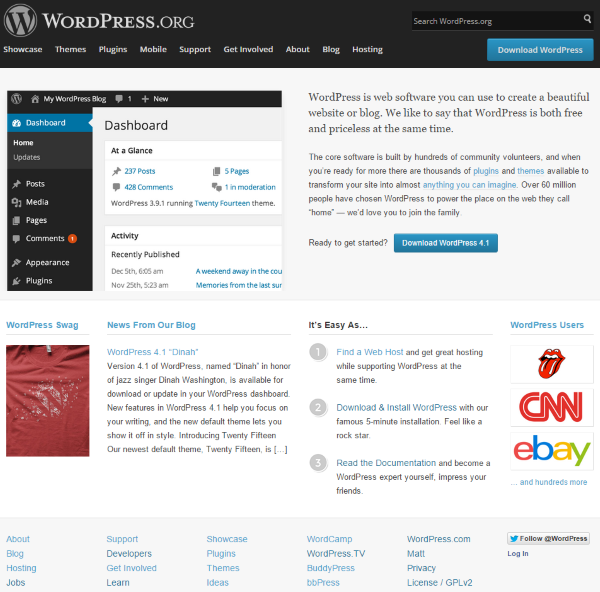 There are over 3000 themes in the WordPress themes directory. Many of these are free. There are also many premium themes available that range from $20 to $200. Most cost around $100. Styles include various column layouts, magazine layouts, etc. and topics cover personal sites to professional services, education, art, and so forth. Quality ranges from low to high. Some are older, but many use the latest design trends. You can modify them through the use of plugins and CSS, or you can recode them using the code editor. It’s wide open. Make any changes you want. You can change to a new theme with a few button clicks. There are no limits to how many themes you can use or how many times you change it. There are 529 HTML5 templates to choose from. They include multiple columns and many topics from personal sites to business consulting, art, education, online retail stores, and much more. All templates are free. Some templates require the eCommerce plan. You can edit them using the drag and drop editor. You can even start with a blank theme if you want. You cannot access the HTML or CSS, so you can’t make any real under the hood modifications. The worst thing, and in my opinion this one is major, once you’ve selected your template you can’t change to a different template. WordPress has more themes available, including many older themes, and you can make any changes you want because you have access to the code. Prices range from free to several hundred dollars. You can get a theme to do virtually anything you want. Not all themes are created equal and some are not as SEO optimized as others. 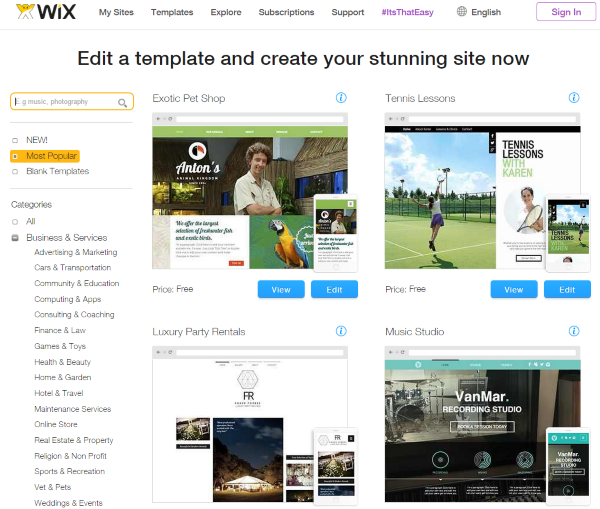 Wix has lots of great looking templates. You can edit them, but you don’t have access to the HTML or CSS, so your edits are limited. Some templates require the eCommerce plan. They’re SEO optimized. There are currently 35,900 plugins in the WordPress plugin directory. Some of these are out of date and haven’t been updated to work with the latest version of WordPress. There are many plugins that are not in the directory as well. 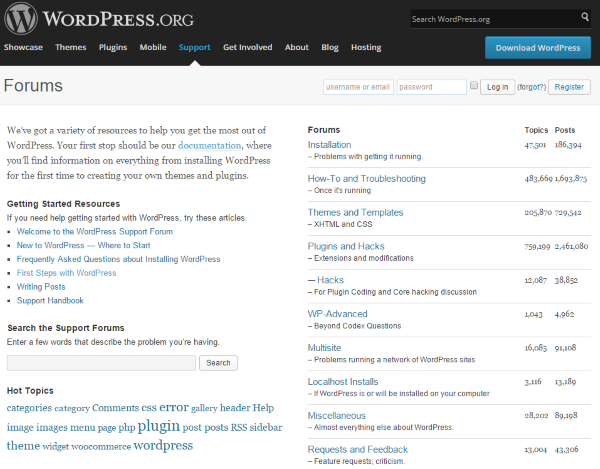 Many plugins add some serious features to WordPress for free. You can add almost anything to your WordPress site by using a plugin. Premium plugins add even more features and range in price anywhere from a few dollars to a few hundred dollars. Some require yearly subscriptions that range from $20 to $200 per year depending on the version you want. Developer subscriptions can be used on multiple sites. There are currently 223 aps in the app market. There are plenty of free and premium apps. Most premium apps have a free version. Prices range from $3-50 per month, although most were less than $10 per month. There are several that are the same sort of thing: galleries, social media icons, etc. Also, there are several that you probably don’t want or need (clocks, weather apps, etc). Yet there are a lot you will want and most of them add some good quality functionality to your site. WordPress can be expanded much further than Wix. There are more plugins available for free that can provide more, and better quality, features than what Wix’s apps can do. Wix does have a lot of good quality apps which can provide most of what you would want for your site, but it’s not as flexible. Wix can do most of what you need, but the apps might cost you more than plugins would. Since your WordPress website is made of individual elements such as the core program, themes, plugins, hosting, etc., support for each of these will be handled by different companies. If you have problems with WordPress – the WordPress core program, not the themes, plugins, or your hosting – you can get support through WordPress forums or documentation. The forums are rich with questions and answers. The documentation covers everything from what you need to know to use WordPress, to developing your own plugins, to volunteering to provide support in the forums. There is so much information in the forums and documentation that it can be difficult to find what you’re looking for. If you have any problems with themes or plugins you will have to get support from the makers of those tools. This might be good and it might not. Issues with your website’s hosting will have to be handled separately with your web host. If you’ve gone with a reputable host you shouldn’t have any trouble with support for these types of issues. There is tons of help online, but since WordPress has been around for a long time some of the help might be out of date. It’s important to do your due diligence when picking the resources you rely on. Getting support can be easier because you go to the same company for everything. You don’t have to deal with third party developers or separate hosting companies. Wix also has articles, forums, and videos to help with support issues. Support is available 24/7. Since Wix personnel are familiar with everything to do with Wix, their help should be more useful. They won’t run into apps and templates that they’ve never seen before. You can contact them via phone, email, and their website. With WordPress, there is a lot of help out there, but since you have to deal with so many elements and companies finding the right help might take some time. With Wix you only have one company to deal with, and there are several ways you can get help. Their support staff should be very informed about any problems you might run into. WordPress updates the core program a few times per year. Also, plugins and themes are updated often. WordPress alerts you when an update is available. When you see these alerts you will have to perform the updates manually – meaning you have to perform any backups that you want to perform before hitting the update button, then select all of the files you want to update, (you can do thus in bulk – plugins together, themes together, WordPress core separate), and then you have to perform any and all tests that need to be done to ensure your site is working properly. If you just have a blog this might not be much of an issue, but if you have a large store, education site, or some such, this can take a substantial amount of time. This can be an even bigger challenge if you have a custom theme. You might have to make updates to the code itself. An alternative is to subscribe to a service that will perform your updates for you. This can get expensive over time, but it can also save you a lot, making the ROI worth the cost. Wix automatically performs updates. You are not involved with any of the updating process and you won’t even need to be aware of it. You are responsible for updating your own WordPress site. With all the various themes and plugins available this might take some time to do every time there is an update available. Wix does this for you. 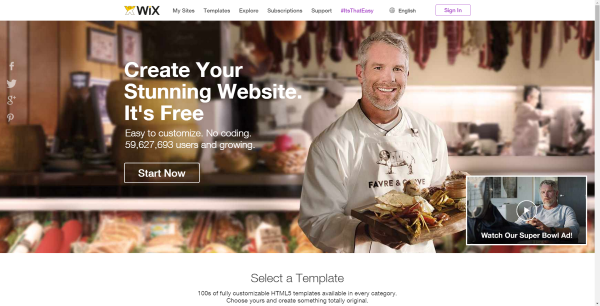 You don’t have to worry about site maintenance with Wix. These numbers are generalized, but running a WordPress site can cost from $72.99 without a developer to $18,162.18 per year with a developer. With Wix, there are several different plans that range from around $4 per month to $25 per month. Their most basic plan includes ads. The next plan is considered for personal use. The most popular plan is for entrepreneurs and freelancers. Let’s look at this one. The Unlimited plan is $12.42 per month and includes a domain, 2 premium apps, 10 GB of storage, unlimited bandwidth, hosting, premium support, and more. What is does not include is a shopping cart. For that you will need the next plan, eCommerce, which is $16.17 per month and includes 20GB of storage and limits your bandwidth from unlimited to 10GB. $149.04 per year without eCommerce to $194.04 with eCommerce. Apps might add an average of $50 per month, adding $600 per year. The VIP edition is $298.80 per year. These numbers are generalized, but running a Wix site can cost from $149.04 to $898.80 per year. WordPress can be cheaper or more expensive, depending on the choices you make. You can do everything yourself, which takes more of your time, but can cost less than Wix. 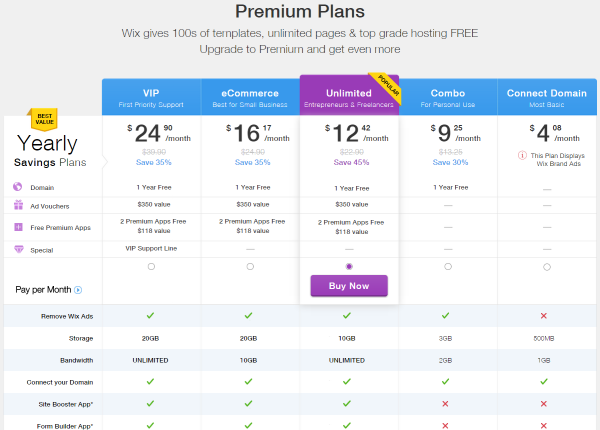 Prices for Wix are really good, especially for a business site that includes domain, hosting, and maintenance. Content for posts and pages are created with the visual editor. You can add media such as images, video, audio, and other files such as PDFs, and so forth. You can also use the text editor to include your own HTML to add columns or modify the content. There are a lot of plugins to modify your visual editor. There is also a distraction-free mode and an upcoming front-end editor. WordPress has support for multiple users and you can assign their level of access to the backend. If you want a full team of contributors and a couple of administrators to run your online magazine, you simply assign their roles. Done. Wix is pure WYSIWYG. There is no backend where you’re creating your pages and posts. You drag and drop your content onto the location on the frontend. For writing your content there is a similar interface as the visual editor in WordPress. You drag and drop a text box and start writing. If you want a slideshow, images, or anything else, you drag it and drop it where you want it. Wix is working on a way to add a different author’s name to a post, but it’s primarily a one man show. It does take a few minutes to work through it to get the hang of creating pages and posts, but once you do it’s intuitive. There are enough help buttons everywhere to help you through every step. You can embed your own HTML into your content. Both provide a nice intuitive interface. WordPress gives you access to CSS, so you can make more modifications than with Wix. WordPress has several writing modes and you can use plugins to modify the editor even further. Wix is simple and intuitive, but you can’t make any modifications to the writing areas. WordPress is open source. This means that anyone can access the code and make any changes and modifications they want. They can create their own themes and plugins that they can give away or sell. This has launched many companies and pushed many innovative developments in the WordPress realm. This is one of the reasons that WordPress is so popular. One down side to anyone being able to make their own themes and plugins is the potential for low quality and potentially dangerous code (many have learned this the hard way). Even if the code is safe, the features can sometimes be lacking, so it might take some trial and error to find the right fit for your needs. With so many themes and plugins available, the sky’s the limit. You can make your WordPress site into anything you want it to be. Whatever you want, there’s a way to do it with WordPress. If it doesn’t exist it can be developed. Wix is not open source. This means that not just anyone can modify it. All website building tools are built by the Wix development team. This means that the tools for Wix will have fewer functions but overall the percentage of quality will be higher. The quality of the tools, such as themes, plugins, apps, etc., will have a major impact on the quality of your site and your visitors’ UX. Poorly programed tools can slow your site down or even crash it. The major concern here is quality of tools over quantity. As long as you can find the tools you need, more doesn’t mean better. With WordPress, you will have to worry about the quality of themes and plugins. Not all developers hold themselves to higher standards. There are some developers that create a plugin or theme and leave it; without ever providing support or updates. There are also a lot of developers that have made it their business and career to create high quality tools for WordPress. If you need it, there is most likely a high quality theme or plugin available – you just have to do your research and be careful before using just any theme or plugin. With Wix everything is created and tested by their development team. This helps ensure that higher quality standards are met and maintained. You won’t be able to do everything you can think of with Wix like you can with WordPress, but you won’t have to worry about the quality of the coding of your templates and apps either. WordPress is more flexible than Wix, but this flexibility can have just as much potential for loss as it does for gain. Both platforms let you get started quickly or let you take your time and build something outstanding. Both have a wide range of prices, and both have enough features to build a lot of sites. Of course this is something you have to decide for yourself, or something your clients will have to decide. What’s best for you might not be what’s best for me. WordPress: It’s open source and filled with choices. Everything is owned by you (unless you choose a hosting plan that gives you a free domain). You are responsible for all themes, plugins, updates, security, and SEO. You can make your site anything you want it to be. Plugins and themes might cost you some good money, but it’s more flexible. You choose who to host through. If you decide to host through someone else you can move your site to another host. Going through the tutorials and choosing your plugins and themes, and then getting everything set up properly can take some time. It is also possible to just get started quickly and cheaply and add on as you go. It’s more customizable, but this can make updates more difficult and expensive. Overall, this one is the most flexible, but that flexibility can also become more complicated. Wix: You don’t own the site. The URL and hosting are not yours and you can’t modify it any way you wish. You don’t have a choice of hosting companies. You can only have apps and themes that are allowed from Wix. What it does it does well, but if you want something it doesn’t provide, you can’t have it. But you can run a business from it. You can even develop sites for your clients with it. Still, you are limited. WordPress is better for flexibility and expandability. Wix is better for simplicity. Now it’s your turn. Have you used both platforms? Which works best for you or your clients? Do you have something to add? I’d like to hear about it in the comments below! WEll written and great comparison, but clearly wordpress beats in all aspects when i compares with WIX. Wix is well suited to a beginner like my mother in law who wants to build her own website to display her amazing art (and to sell it). When she needs tech support, if she was using WordPress (which I initially recommended), I would be that person. With Wix, she just asks them and they take care of it. Wix is actually perfect for such people, honestly! This article is very useful and in this case, validating for me as I can see her choice to use Wix was wise! Cheers. I agree Craig, that’s the hardest part for most people is finding the support for wordpress. or paying for it. these fully supported options are capturing the part of the market that was looking for it anyway. I’m a wordpress web designer so this article is right on point, and so is your comment. I totally get the case for the need for simplicity and support. I offer full service wordpress services, but even so, I wouldn’t sell anyone a wordpress site, unless it absolutely fit their business needs, capacity and budget. Wix is not for business, that’s all. Personal only. Yes you can own the URL. It just costs some money (upgrade to premium) and then buying the domain (from Wix or elsewhere). This is how you get rid from the Wix banner as well. Never heard of Wix before this article and after reading it I’m not sure why anyone would ever use it. Too limited in every aspect. Money Talks. I prefer WordPress as well but if you are trying to do something simple on a tight budget that Wix may not be a bad choice. The problems will show up later when you decide you want something WIX does not offer, or want to change a theme. true tim, but like michael smith mentioned as did craig above, sometimes it fits the bill. like craig’s mother-in-law wanting to showcase her art on a budget. it all depends on need, capacity and budget. Thanks for this detailed post. When local business owners ask about Wix, we ask: why would you build a site you do not own? Always own your key marketing assets. You can use your own domain with Wix. Selvam, I think you don’t appreciate how much Simplicity means to many. Simplicity means less hassle – the “don’t make me think” mentality. It’s always been hard for tech types to grasp this. We’re more often sold on features, but our customers aren’t. They buy benefits – and simple (and short term low cost) are often a significant part of perceived benefit. It’s generally not “value” but it doesn’t require thought. I love WordPress and it’s my first choice, but for simplicity and hassle free projects I have built sites using Wix and I absolutely love it. In some cases simple, cheap and quick to set up take precendence over a WordPress development. It’s for the short term projects (a site needed for a single event or basic idea) that will not be evolving or grown in the future using the same platform. WordPress has no comparison. It’s just better in all levels. Now with WordPress and Divi we can take over the world. I develop websites for individuals, entrepreneurs, businesses, churches and non-profits. I have not used Wix, but I have used Weebly (which is very similar to Wix). As you expressed, there are pros and cons to each platform. If someone is techy, has money and lots of time, WordPress is clearly the choice (I design with DIVI 🙂 ). The BIG downside is to have a quality site you have to learn the ins and outs of WordPress and of DIVI. For the average business person this is massive. What I do is package my services as webmaster to take care of all of that for the client. If they don’t want to do that, I can make them a killer site that is much easier to upkeep with Weebly (Wix is similar) – apples and oranges. The URL of Wix are horrible… With #!and .. in the url…. http://www.janiclosier.com/#!Un-coup-de-cœur-pour-Raize-et-le-plaisir-de-pouvoir-donner-au-suivant…/c7ac/EE019CD3-0C31-45CE-B57C-EAF377DD7F0A <== this is the url of an article ! Great for sharing, isn't it ? Might as well learn wordpress, which will give you much more options in the future and not be limited with html and css which is the core of building Web sites. Wix is a simple program for simple people. Great article Brenda, I use both and your spot on. 1. The client budget is super low and they can’t support the cost of WordPress maintenance updates. 2. The Wix builder is simple and fun for clients and I rarely need to train them. WordPress can be confusing for them and it takes a few hours to get them up and running. Wix is a great starter site but I let my clients know they will need to invest more time and money in a “real website” as their company grows. Is there a plugin for Wix that allows email collection? Those ones that pop up when you’ve been on a page for about 10 seconds and ask if you’d like to subscribe in return for a free article or something? Yes. I have a Wix site and you can see the plug-in on my site if you’d like. Call me simple minded, but I just wanted to start a blog to coincide with my small online business. I’m not a programmer, but I’m no dummy either. Although I needed a platform for more publicity, there was no way that I could spend the time and energy WP requires. It’s possible I may switch later, but I have been thrilled with the ease of Wix. I’ve been using both for quite some time. IMHO, Wix is better for a static or poorly-dynamic websites, while WP is far more better for dynamic websites, and that includes eCommerce. Clearly, the biggest difference is WP being a CMS while Wix is anything but CMS. So if you’re planning on maintaining content in your website, go for WP and never look back, otherwise, consider your cost/performance and go for whatever offers the best value for money. Just a little something to add regarding maintennace. There are plugins that allow you to automate this process. The one I use for myself, and all my clients sites is ithemes-sync. Also, not to advertise, but before long you will not need to pay multiple companies to handle everything for you. Companies like mine are beginning to offer “One-stop” solutions that allow you to get hosting, design/development, SEO, maintenance, and more all in one place. Thank you for filling in the blanks I had with WIX. I get asked this question all the time (the difference between WIX and WordPress) and I haven’t as yet had time to fully do the research. So now I have the answers – thanks again. WordPress has very much advantatges, flexibility, customize and SEO posibilities that wix hasnt. My option is very clear, i prefer WordPress always. Can branding be removed on both platforms? I can’t speak to removing Wix’s branding, but you can definitely remove WordPress branding. I was a WIX user for many, many years. I loved it and still miss a little the ability to just move things around as if it was a drawing, with WordPress unless you have CSS knowledge, there is only so much you can do if the theme comes with it. On the other hand, the main factor that drove me away from WIX is the fact that WIX websites have lots of issues getting ranked then there is not much to think. WordPress allows you so much more functionality, it can’t compare. I still recommend WIX for clients that really have NO desire of learning wordpress and find that making updates is too complicated, so WIX is as easy as it can get for this particular type of clients. I like to give websites to my clients that they can update on their own, having both WIX and WordPress are simply ideal to cover any angle. I currently use Wix and like the ease of it…. however, realizing that my site does not get alot of hits has steered me to WP … I worked on a WP site for someone else and found it cumbersome. Luckily, I have found some help with WP and how SEO is extremely important and takes some TLC to get those rankings. Thank you for your insight into this because I wondered if Wix was an issue regarding rankings…. Nice article with lots of good info! One point you hit on a little, but not directly, is that Wix is proprietary. You cannot move your site to another provider, for instance. You must stay with Wix once you start using them or completely rebuild the site elsewhere. Meanwhile, WordPress is extremely flexible and dynamic in so many ways. Another point is the legality of using a web site builder and host that abides by the laws of another country. Last time I looked, Wix was based in Israel and any legal action must be done there. For US users, that is certainly an important thing to consider. One final item: is Wix out of Beta yet? Again, last time I looked, it was not. If they’ve been in business for so long and their software is still not ready for prime time, when will it be? And what does that say about their development? You cover exactly the points that drove me from Wix to WordPress for my business. Initially I went with Wix because I had no idea how to set-up WordPress and as a WP novice I thought that I would never understand it. So Wix was good to start with and I had a good SEO btw. But then I wanted to blog and realsied the limitations (one picture or one video per post), wanted more pages and realised that I would need to drag and drop all items again and again. What disturbed me that there was no CSS – hence the items were never precise at the same place and if I would change one item I had to do it for every other page aswell. I do agree, that the simplicity of dragging and dropping items makes it for non techies understandable and with little effort one has a good looking page (from simple their non-technical, non-graphical view) and after all, the costs are clear. Even with no CSS knowhow, the few things I learned via Google, I am more happy with my new page on WP. Although, it cost a lot of time learning it (2 months) and all the side issues (security) shouldn’t be easily taken. Great thing about the change; I didn’t loose on SEO either. An especial thank you to eleganthemes; I learned a lot and implemented many things you wrote about in your blog. Many posts came at a perfect timing. If I had learned about your themese earlier, I would have gone with one of yours. I have used both platforms and just couldn’t get on with WIX. Once you have used WordPress and get used to its flexibility I don’t think anything else compares. WordPress every time for me. Personally prefer WordPress over Wix. Although Wix allow us to have mobile site however we have to adjust/edit both mobile & desktop site. While WordPress, we can select a responsive theme, there are a lot of great responsive themes out there, no matter paid or free themes. I’m really ok with that. I’ve beginning my web agency with Wix but for a lot of clients Wix is too limited. WordPress is more difficult but (OH MY GOD !) it’s limitless !!! And the result (for me) is more professional on WP. I totally agree with you. I have had clients that have questions with Wix for the customization. WordPress is more professional for me too. What theme are you using on your WP site? How can we point a go daddy domain to WIX. I pointed my Go Daddy domain to Wix easily. You have to upgrade from free to Premium (cheap enough) and then it’s follow the dots to simply point to domain there. This article came at just the right time for me. I had a client ask about Wix just this week for the first time. So I started to research Wix. I compare Wix and WordPress to a home. You can either rent your home or buy it. If you buy it and pay your mortgage it is yours forever. Remodel it, sell it, do what ever you want with it. Such an informative article, thanks for that one. I knew Wix was bad, but I didn’t expect it to be so bad. They are really taking advantage of poor webmasters that don’t know a lot about code. WordPress is the number one choice for me because of it’s flexibility and unlimited options to create any type and size of website. I don’t think WIX can provide that much flexibility. So yes number one choice is WordPress. Since most of the audience associated with Elegant Themes is targeted to the WordPress arena, it is to be expected that almost everyone would say WP is the better of the two, and then some even to say they would never even touch Wix. I agree with both of those sentiments myself. However, it would be interesting to see the responses to a blog like this on a Wix site. 🙂 They both have their niche. The WordPress niche just happens to be much larger. I think that a brief, real meaning of “unlimited bandwidth” might have had a place here, but that’s bordering on being outside the scope – more of a hosting comparison. Overall, a very nicely written and pretty much objective look at both platforms. Really enjoyed it. Just because I’m so mean (ha ha), I have to point out the misspelling of “programed” under the flexibility verdict section. How about a comparison of Squarespace and WordPress? As a graphic designer, I like the themes on Squarespace to showcase my portfolio as well as the ease and simplicity to drag, drop and move things around. I don’t have the time to learn all the ins and outs of WordPress nor the $ to hire a developer. I know, you are trying to expand the number of users for WordPress self host, so also increase the number buyers of your themes, but please choose a right platform to compare. WordPress.org is now the king, don’t need compare. But if you still want to compare, just compare it with Joomla or some similar ones. I don’t really think this article has been done to compare how powerful are these tools. The comparison is more based on their usability, and what they let you do ! So it’s not a bad idea to compare them in terms of objectives and capabilities. The point is you can do way more with wordpress but a beginner will be very happy to learn that he does not need to know about CMS and all WordPress details to upload a 2-3 pages website. The article is relevant to my eyes. I think this article is actually needed. Wix and Squarespace are doing a lot of advertising and pulling customers who dont know there is an alternative. I think for a non-self-hosted site – Wix is heads above wordpress.com or Blogger, and can, on some levels actually compete with WordPres.or/self-hosted – for those that just want a simple site. so I think it is more apples to apples than apples to oranges, I get people who ask about Wix all the time. there are pros and cons and it can be right for some…if you want a simple site. While you cannot transfer the contents of your site you can transfer your domain purchased from WIX just as you can from anyone (GoDaddy, Google and all the others). Kind of wish you took a harder stance on this at the end. WordPress is the obvious choice for the majority of people. On a side note: Wix’s latest marketing push drives me crazy because I know that it means I’ll be having to deal with more clients with Wix sites in my future. A good article, but I agree with Tien. Why compare standalone WP to WIX rather than WP.com (where Elegant Themes sells premium themes) or any other hosted WP service? They are the ones competing for the same market. Honestly I’m a bit taken back by this article, as to why is there a comparison between a free self-hosted platform, i.e., WordPress, and a paid hosted one, i.e., Wix. Why not provide a comparison of WordPress.com and Wix.com? Just recently I started building my own websites, and I am totally a beginner. 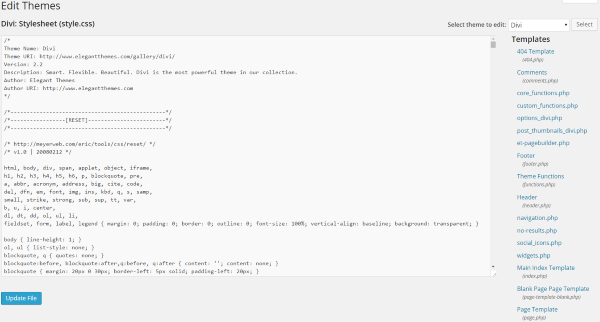 I started to check out WIX, and it took me only 2 days to conclude I would concentrate on WP & the Vivi theme. There is only so much time, and I want to invest my energy of learning into something that is worthwhile in the longer run. I am still learning, but I am amazed that things are far less complicated that I thought it would be. I just can’t bring myself to investing energy in a closed platform like WIX. The nice thing is that with Vivi one can obtain very good results quite easy, and build from there. Thanks, Frans – this is the comment I was looking for! It seemed that all the other comments are from experienced web designers who actually know what all the jargon means. I am a beginner into this and am looking into what to use to redo an already existing site. WordPress was recommended as was Joomla, and I knew about Wix, so was doing my own research. Thanks for the info from a beginner! I’ll continue the research! This is an amazing article, thank you! You nailed all the essential factors that made me move from Wix to WordPress. Though it was a bit difficult to adjust in the beginning, later on I started to really appreciate all the options that come with WordPress. By the ay, if anybody wants to make a switch from Wix to WordPress, I can recommend a toll that I have used – cms2cms. It’s an automated conversion service – a perfect solution for non-techies. Thanks, this actually helps me so much! I looked at using Wix when they first appeared years ago, as i liked their flash templates at the time, but i did not like their T&C’s so I went with a Modx template for my main site and WordPress for my Blog. WordPress could be more user friendly, yes, it can! Some things were hard to find until you click almost everywhere, but once you make a note, then you are good to go. I like the fact that you can change the template whenever you feel like giving the site a makeover or some lipstick. Google seems to embrace the WordPress Blog and it ranks very well. With drag and drop builders for wordpress nowdays you would be CRAZY to go with wix, weebly or crazy domains. The reasons are this. With wordpress and others like jooma you can refine your seo to a high level. You can choose good hosting rather than the rubbish shared hosting cheap builders offer. Downside with wordpress is knowing the plugins and how to upgrade. But run your site through a free cloudflare or something like that and you minimse your risk. Anyway on a descent host backups will be done daily so you can always restore. People say wordpress is expensive if you get a developer. Really? There is more to a website than just drag and drop and text – a hell of alot more. Those who think otherwise will never be convinced until they build their site and see their competition is trouncing them. Its not just looks, its a whole range of things from document writing to SEO to conversions and paid advertising, graphics and now the ability to run on different devices, load times. WordPress with bootstrap ticks all the boxes. And i have never seen a novice design a site well – its a profession all on its own. Also all the others site builders have compromises and so many hidden costs that before you know it you are paying as much as a custom site without any of the benefits. WordPress to hard? A novice could hire a developer just to install wordpress and set up a drag/drop application for 100 bucks plus the plugin cost. After the first year, the cost of the weebly or wix or whatever would be the same and the user would have a framework that can be further developed by a pro if need be. The drag drop interfaces are similar to these weebly/wix now. Remember, many hours are spent by business owners building their site. It amazes me how none of the businesses looking for a cheap site builder factor this in. If you were to charge an hourly rate for your site build, just for the content, look and feel and mucking around getting to work on mobile sites… how much does the site actually cost you? Factor in your labor and the important issue it actually takes skill to present a site that sells and ranks well. Actually the content can be way more expensive than the site build (remember a website consists of DESIGN (site structure) and DEVELOPMENT (the actual build of the design). But free website builders OWN YOUR DESIGN. you are at the mercy of them. With WP you own it. You can move it, you can upgrade it.you can change it. Its a bit harder, sure – but if you try to customise a weebly or wix? Just try it and see what happens and how much it costs. And do you get the functionality you want? probably not. Really helpful article I created my website using 1&1 website builder and I must say the options there are quite limited. I would like to have more control or at least more options available to customize my site which 1&1 does not really offer, another disadvantage of 1&1 is it’s SEO which does not seem to do much. I will definitely try WordPress and if it will be too much for me to handle I like the fact that you’ve got the option to look for help from a professional to help you out. Fabulous Post! Thank you so much for sharing this one really well defined all peaceful info,well really like it. Thank you so much for sharing this one. To illustrate my point even better. I copied over the source code of a Wix page, (just a simple about us page) and pasted it in Word. It created a whopping 110 pages!!!! That is how long the code was! Now let;s compare it with the source code of my own about us page in WordPress: about 15 and that is including a lot of “open space”. The Wix code was almost one continuous line of code that took up 110 pages. I still can’t get over that! I’m a business communications professional and have done a couple of small business sites in Dreamweaver and WordPress over the years. The WYSIWTG interface of Wix is amazing. Wix is the first time I’ve experienced a USABLE interface for creating a web page. Creating graphic-rich pages in WordPress is far more tedious. Clearly WordPress is a more flexible platform and has more elegant code. But all that flexibility comes with complexity as well. For example, for someone who doesn’t use WordPress frequently, it can be time consuming to locate, qualify, install, learn and test new plug-ins. And there can be compatibility and security issues as well. I don’t need the flexibility to change themes and I don’t want to hire someone to do HTML or CSS programming. I can accept the limitations of WIX and enjoy the process of creating highly graphical and colorful pages. I’m more concerned about the site response time, SEO, and inability to move the site out of WIX if I decide to later. I am beginning my online portfolio for my senior year in college. I work in design, photography, and video. I have worked with WordPress in my college’s student newspaper, but I never designed the actual webpages. I am looking for something that I can easily put my work on as a portfolio piece. Any suggestions? Thank you for the useful comparison Brenda. I’d like to offer one content-marketing tip: this post could benefit a lot from infographics. A straightforward table, summarizing the comparison with a clear winner in each category, would be useful to readers. It’s also likely to get many shares and pins, which will drive traffic to the post.